[Yoda] "Luminous beings are we; not this crude matter." I cloned out all but the birth and death years, but left those because I think they help tell the story. I then added the Star Wars reference, in case there still is anyone out there who isn't conversant with that cultural phenomenon. I assume the stone was designed by the parents, who were honoring an important force in the life of a son who was taken at far too young an age. 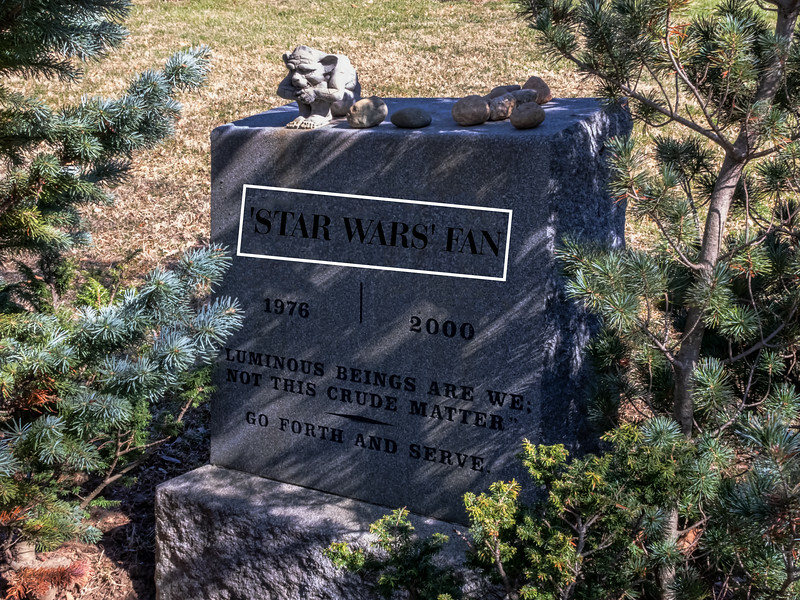 The force was with he/she - so sad to see the loss of such a young one. That is certainly an unusual headstone. Nice find and shot. Cemeteries can reflect cultural changes in interesting and surprising ways.